The RAA has brought in seven international architects to present a new perspective on architecture and “challenge the assumed primacy of the visual in architecture through presenting seven immersive installations designed to resonate with the senses on a variety of levels. This symposium seeks to unpick and develop the ideas, issues, implications and assumptions the exhibition poses.” Installation based exhibitions appear to have become a reliable cash cow for galleries these days. Using structures, textures, scents, lighting and colour they will transform the Main Galleries and ask fundamental questions about the nature of architecture. How do buildings make us feel? How does architecture influence how we live, what power does it have over us? As you explore different environments, different moods, touch, climb, sit, talk, walk, contemplate – you will bring this extraordinary exhibition to life. The immersive and provoking installations of Sensing Spaces provide the context for fresh and passionate talks by key figures from the worlds of art, architecture, design and literature, exploring how our experience of spaces informs the way we think about and relate to architecture and cities. Imaginative and inspiring, lively and stimulating, audience participation is actively encouraged! More and more, restaurants, shops and perfumeries strive to create environments that stimulate the senses, transforming dining or shopping into a multi-sensory experience. A distinguished panel, including Chandler Burr, curator of ‘Art and Scent’ at New York’s Museum of Arts and Design, Jo Malone, creator of some of the world’s most-loved and iconic fragrances, and revolutionary ‘architectural foodsmiths’ Bompas and Parr discusses the production, consumption and trend for sensory experiences in the marketplace. Composers and performers from the Royal College of Music present new music, specially created in response to the exhibition’s installations. Professor Dr. Philip Ursprung, Institute for the History and Theory of Architecture, ETH Zürich. This multi-disciplinary symposium seeks to unpick and develop the ideas, issues, implications and assumptions posed by the exhibition ‘Sensing Spaces’. 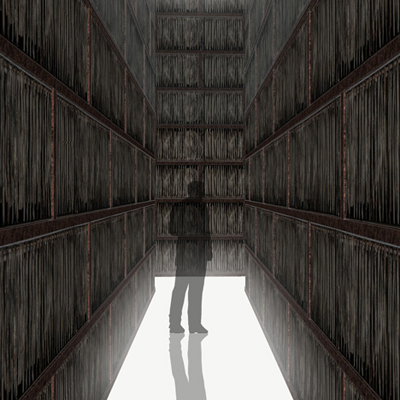 Sensing Spaces: Architecture Reimagined at the Royal Academy of Arts, London W1. 25th January – 6th April.